FOSB puts on a range of events throughout the year designed to appeal to different interest groups in the town both to raise money and to keep FOSB and its fund-raising objective in the public consciousness. an illustrated talk by John Jenkin. 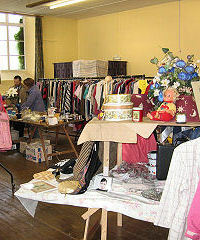 but there will be a RETIRING COLLECTION to help maintain the fabric of St Bartholomew's Church. 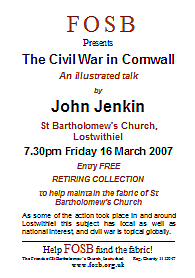 As some of the action took place in and around Lostwithiel, this subject has local as well as national interest: and civil war has become topical globally. About John Jenkin: Born in 1928 and raised in Newlyn, John qualified as a Radio Officer, spent two years with the Royal Navy near Hiroshima, six years in the Merchant Navy tramping the world in cargo ships (with time to read history books), and three years at Land's End Radio. At the age of 29 he retrained and embarked on a teaching career. For the 16 years prior to his retirement in 1990 he was Head at St Petroc's Church Junior School, Bodmin. He has been a Bard of the Cornish Gorsedd for 46 years and served for ten years as its Secretary. His written work includes a book on Cornish history for school children and a comprehensive history of Newlyn. £7.00, £4.00 children, available on the door and from the Daphne du Maurier Festival Box Office. 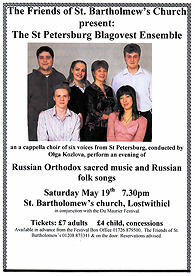 The St Petersburg Blagovest Ensemble are six young professional musicians singing a cappella, with a programme combining Russian Orthodox sacred music and Russian folk song. On their fourth tour in Cornwall they are delighted to be invited back to St Fimbarrus, where last year they sang to a near capacity audience with a standing ovation. They are equally excited to be performing for the first time in St Bartholomew with its excellent acoustics. In both churches the Friends will be providing refreshments during the evening. Enquiries and reservations for Blagovest’s concert tour in Cornwall, also May 16th in Falmouth and May 17th in Truro, to Rachel Heywood 01872 530274. 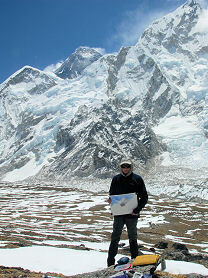 22 Jun 07 7.30 pm St Bartholomew's Church, Lostwithiel (3) Painting Everest, a slide lecture by wilderness artist Tony Foster. Background: Tony has achieved an international reputation and been featured on radio and television. His lecture was sold out at the Daphne du Maurier Festival 2005 and, at his recent exhibition in Idaho, all his pictures were sold before the exhibition opened to the public. Event Poster (PDF) More about Tony: www.tony-foster.co.uk. Hopefully the weather will be fair and it will be a cheerful occasion. FOSB staff will have an information table to promote the work of the charity. Tour of the Church in five groups of six participants, ending with a fish and chip supper at The Country Fryer. Limited to 30 tickets at Cost £6 to include Fish'n chip supper (or £2 without). Activities each of 20 minutes duration. Please phone John Pegg (01208 872676) to reserve your place. 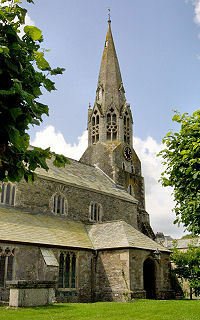 Many will remember that Liz was Curate here at Lostwithiel from 2000 till 2003 when she joined Community of St Francis. She was clothed as a novice on St Francis' Day, 4 October 2003, taking the name Liz. Now she has agreed to come back and give a talk about her call to the religious life and what it involves. There will be an interval with a glass of wine and light refreshments followed by a brief Power Point presentation and then an opportunity to ask her questions and interact with her informally. For this event we are expecting around twenty-five members of Canoryon Lowen (Happy Singers) and around thirty members of the Mevagissey Male Choir. These two choirs are going from strength to strength, and having them both together promises a great evening of entertainment and a grand start to our Christmas celebrations.